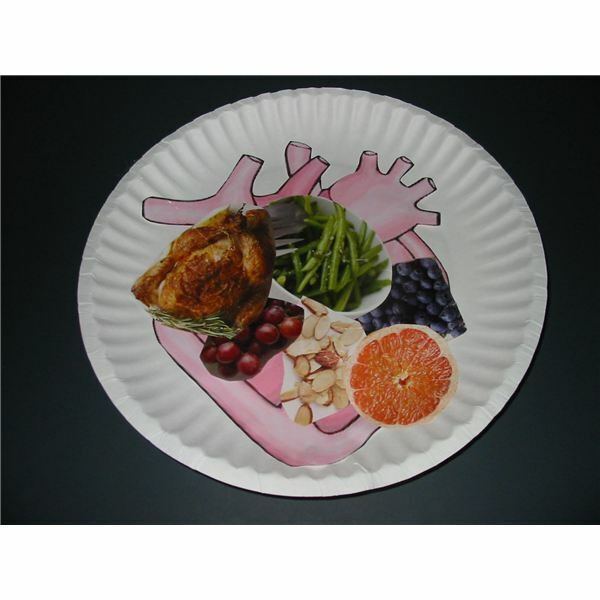 Preschool Activities for Heart Health Month - Art, Science, Nutrition, Games, and More! Preschool Activities for Heart Health Month – Art, Science, Nutrition, Games, and More! It’s not too early to briefly discuss the heart and its function to the human body. Here are a few activities to take across the curriculum during Heart Health Month. Before introducing these activities, talk with the children during circle time about the heart muscle and how it works. Explain that the heart pumps blood throughout the body, taking fresh blood with oxygen and other important nutrients out through the arteries and bringing back old blood for more oxygen and nutrients through the veins. Use books and posters so children can visualize this concept. 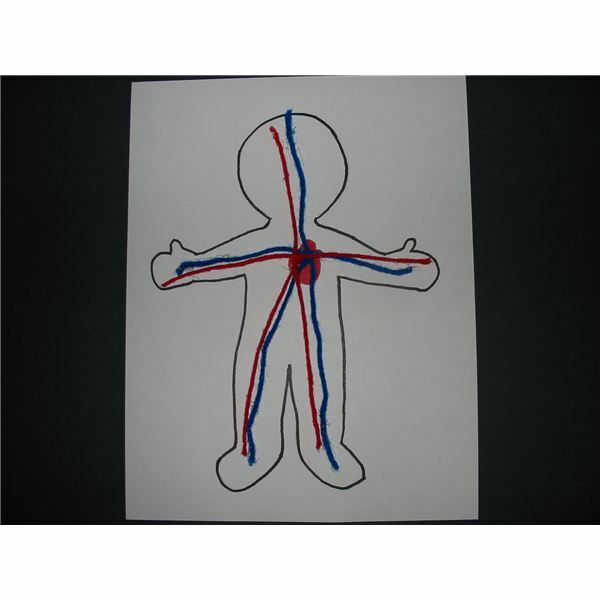 Provide each preschooler with a simple outline of a person’s body drawn on white cardstock or heavy construction paper. In the middle of the chest area either draw or place a heart (anatomy) sticker to represent the human heart. Give strands of red and blue yarn to the children. Have them glue red-yarn arteries and blue-yarn veins on the body shape to show how the blood is pumped to and from the heart. While the children are at rest, have them feel their hearts. Or better yet, bring in a stethoscope for the preschoolers to listen to the lub-dub of their heartbeats. Now, have them exercise by running in place or jumping and then ask them to feel their hearts again. What feels different this time? Explain that we need exercise to burn off fats and strengthen our hearts. Have the class create a list of exercises (aerobic type) that are heart healthy. Take time every day to partake in this type exercise. Why not use the “Simon Says" format to vary the movements during exercise time? You need to eat fruits and vegetables and other low-fat foods to have a healthy heart. Too much fat and salt are bad for the heart. If you treat your heart right, it will stay healthy and keep beating for a long time. Provide each student with a blackline drawing of a human heart. You can draw it free hand or download a coloring copy online. Invite the children to color this with a pink crayon to represent this muscle. If your children are able, have them cut out this picture. Glue it inside a paper plate. Next, let the children browse through old magazines and cut out pictures of healthy foods (fruit, vegetables, lean meats, low-fat dairy, and nuts). Glue the pictures randomly around the colored heart picture. If you eat well, your heart will be happy! 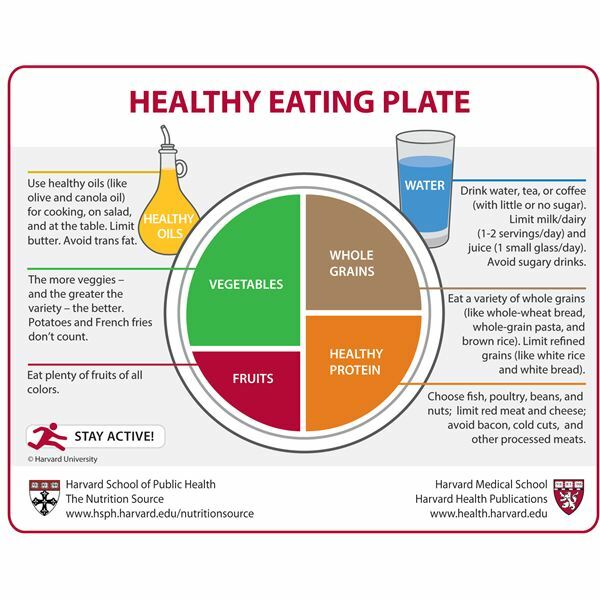 This is also a good time to pass out copies of the new “My Plate" guidelines to healthy eating to all students to take home to their parents or caregivers. Discuss the importance of eating a balanced diet of foods from all food groups. Have the children ask their parents to serve foods from these groups and in the correct portions for heart health according to this picture. Thump, thump, thump! Thump, thump, thump! It’s slower when I’m sitting. It’s slower when I’m sitting. Sit and rest, sit and rest! My heart’s beating, my heart’s beating. It’s faster when I’m moving. It’s faster when I’m moving. Hop and jump. Hop and jump! Ask each preschooler to show you where their heart is on his/her body. What do veins and arteries do? (They carry blood throughout the body and go back and forth into the heart.) Refer to their art page. What can you do to have a healthy heart?